It was a Sunday, Easter Sunday mind you. The people were rushing to church, and the kids were decked out in their new pink dresses and shirts with vests. While the rest of the city was hunting Easter eggs and gobbling down big meals, me and my right hand man were sitting outside the Escape Ultra Lounge seeing who could do the best rendition of the classic Five Minutes of Funk by Whodini. After waiting for several hours and through a fire alarm scare where they had to evacuate the club (witnessing the forty year old damsels in distress trying their best to look 29) we finally were escorted in through the VIP where we were greeted by brother Carmello, the manager and hype man for the classic trio, Whodini. Liberator: So as pioneers of Hip Hop what do you say Whodini contributed to the culture? Jalil: What Whodini brought to Hip Hop culture was that we dressed to impress. We put the style into the Hip Hop outfits. When cats was just wearing sweat suits we brought the proper attire. We brought the silk we brought the leather. Outside of that, Whodini brought the originality to the music. Before we started, everybody was always using somebody else’s Jams. It’s repeating now, but we brought the originality to the music. The third thing is, remember when everybody had dancers? We started that. We brought the dancers behind the rappers to the game. We took the basics from Hip Hop on the streets and traveled with it on the road. We added on to that by going platinum, with our style actually the first to go platinum, then Run-DMC, then the Fat Boys. Those are the things we brought to the game. We also bring a strong sense of unity to the game by staying together. So for those that are looking they can see the unity that we brought to the game. Now days groups are quick to break up. We also brought a science to the game of conceptual raps, to show we were conscious of what we were doing and that we were not just running our mouths. Whodini brought those things to the game. We also brought something else to the game where we don’t hog each other on the Microphone. We are not just saying our names and stuff a thousand times. That’s the magic of Whodini. 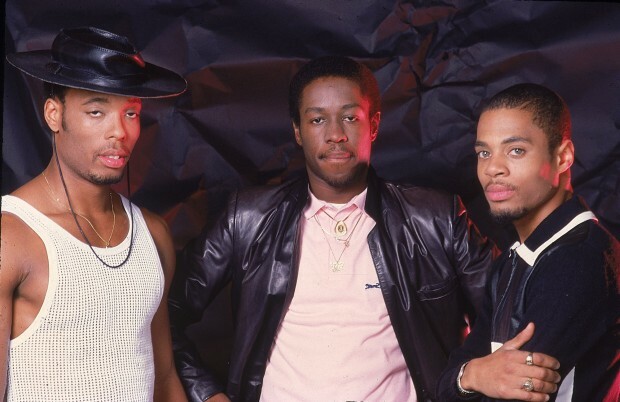 Liberator: What was a key component to Whodini’s mainstream success? Now people are saying crossover this, crossover that, but everybody just seemed to love Whodini. What was it about Whodini that made that possible? Jalil: Conceptual raps, a good basic image, and strong music. Those are the things that contributed. Something called crossover, be mindful, that music is music, and if you dancing and like the rhythm of what someone is saying, that’s music. So crossover is somebody else’s terminology, you know. Crossover implies going commercial, and if you get caught up in that remember that these days u n d e r g r o u n d music is commercial. It’s commercial to be a gangster so we just made music that walked a finer line with concepts and good rhythm behind it. So in short I guess you could say that an educated consumer was our best customers. Liberator: So how would you all say the industry has changed since you all were on center stage back in 1982? Ectasy: I think the style and how everybody is representing themselves has changed a lot. The subject matter of what people are talking about, what was considered pop music has changed. A lot of the basic form of Hip Hop and all is still the same. The creativity, you know what I’m saying, making people dance, making people move. Whodini always tried to give you a little more a little extra for your money. We not only tried to give you the musical aspect but the visual aspect to go along with it. So you know people that seen a Whodini show back in the day, the love is still there because of the extra effort we put in to try and make it a little bit different and give you a little bit more, trying to expand the game, you know. Our thing was “I’m gonna’ eat today and I wanna’ eat tomorrow. So I ain’t gonna’ do nothing wrong and we were really trying to pave the way for everybody, that was just our mind state. Now I think it is a little bit different where they are getting away from that ‘cause a lot of old school rappers are not on the scene right now and you’re loosing that little bit of wisdom that was passed down to us, that we have to pass down to the next generation. They’re missing that. Basically I think the music is still on the edge but like back in the day when we did our song “I’m A Ho” that was on the edge, and we had the hardest time trying to get radio to play that music, but now look at what’s happening, and what we are dealing with. Look at the changing times. I want the artists of today to realize the most important thing that is missing is the pride; not just in the music, but in the culture. Jalil: Back then there was originality to what you were doing. There was only one Run-DMC, only one Rakim, only one LL Cool J, only one Whodini, only one Big Daddy Kane, only one KRS-One, only one Public Enemy. Although you had a couple copy cats come later, these days it’s easy to copy somebody and they don’t care if you copying the pattern of somebody. Another way the game has changed, all the look-alikes, the copying of styles and every thing. Another way the game has changed is that the money has increased so much that the love for the game has really died and now it’s all about the dollar bill. But this has been predicted in the last days and times and being that Hip Hop is a part of the last days and times that we livin’ in, then what can we expect but the game to be like that. Another way that the game has changed is that we have adopted this low life pimp mentality into our music and act like that is part of the Hip Hop culture, which it is defiantly not. Nor is killing, you know what I’m saying. They are twisting the facts. Those are a few ways that I can say that Hip Hop changed. Another way it has changed is that the radio and video shows should be ashamed of themselves. Video shows play what’s on the radio and radio plays what’s on the video [shows]. Nobody is bringing any kind of ingenuity to bring something new. If this guy’s record isn’t a hundred percent but just sixty-five percent is finished maybe somebody should still get to hear it, give him some light. You got enough time to give play to somebody new or encourage somebody else don’t just lock in that same fifteen and let them just repeat themselves. We see the same videos over and over and over, you mean nobody else is making a video? Give the small guy a chance just to be seen. Maybe he got something artistic in him that will make the music sound better. But the industry is shooting them down, making them feel like they never had a chance. These are all ways that the game has changed. Liberator: I don’t know if a lot of people know it, but you all were one of the first or the first groups to go on a world tour. What was it like pioneering that trip and how were you guys received bringing this new urban musical form overseas. Jalil: Let me give credit where credit is due. Sugar Hill actually broke a lot of ground running around the world… and I mean around the world literally. So the credit first would have to go them. Curtis Blow did a hell of a lot himself. Curtis Blow also ran around the world and put the finesse to it, so did Africa Bambaataa and the Soul Sonic Force with Planet rock, so did Grandmaster flash and the Furious five. Now what we did with Run-DMC and so fourth we did it repeatedly. And how was it? It was lovely. It was three God sent cats from Brooklyn that ain’t never really been nowhere running around getting they thing off. We appreciated it. We learned a lot about the craft in itself, and not just from Hip Hoppers, from bands. From Midnight Star, you know. From Prince. Man that’s one of my mentors. And other guys we did the menials sometimes they would put you in menial slots with other cats and let you do your thing and you learn a lot being the small man on the totem pole sometimes. So running around the world has been a real advantage to us. To had done it at an early age was a bigger advantage to us, but it also made us appreciate what we do more.